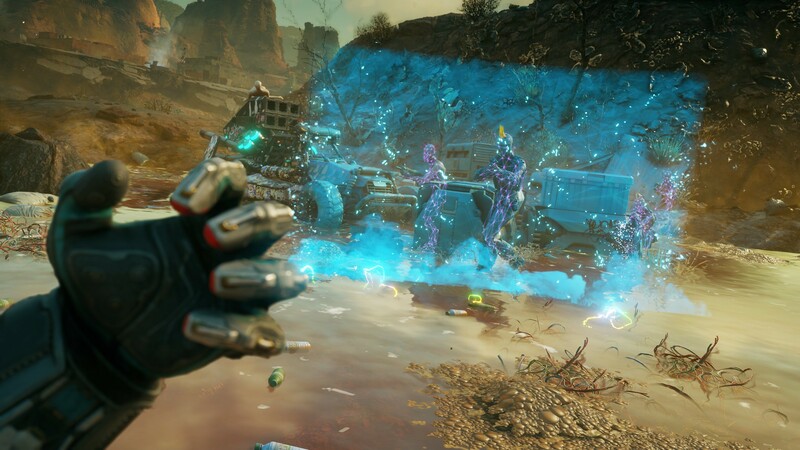 Think of all your weapons and superpowers in Rage 2 as ingredients in a zesty recipe. You’ve assembled all the fixings you need for a kickass cake (or pie, if you’re a pie person), and now it’s time to blend them together into some beautiful and devastating combos. These little combo cakes (or pies) will be your key to mastering combat and becoming a wasteland superhero when Rage 2 launches on PS4 on May 14. 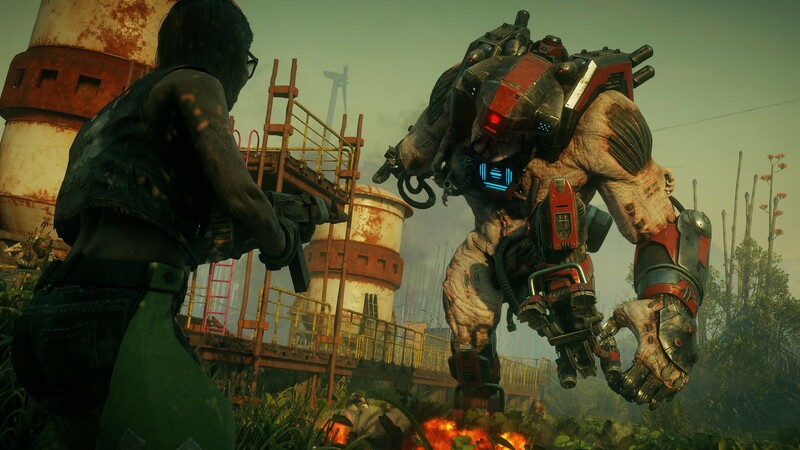 First, feast your eyes on the carnage that your outlandish weapons and abilities can cause in Rage 2 in the new trailer above, then dig deeper into the gameplay details to discover how to pull off these stunts yourself. Want to send enemies and objects hurtling through the atmosphere? The Shatter ability, the Shotgun’s alt-fire mode, and the Grav-Dart Launcher are all great tools. Try launching enemies into walls for epic gibbing, or into other enemies to knock them over. For even more messy fun, try launching explosive objects into groups of enemies. The Barrier is perfect for protection in heated moments, but it’s not solely a defensive tool. Add the Touch of Death upgrade, then use the Vortex as an easy tool to pull enemies into your lethal Barrier and watch them get turned into gnarly bits of mincemeat. The Vortex can be used as a simple crowd control tool, but it’s also perfect for setting up combos. Let the Vortex launch you into the air to maximize the power of Slam, or cook and toss a grenade into a Vortex while it pulls enemies together, allowing you to catch all of them in one explosion. Incorporate the Phoenix into your combos and really make an entrance. While traveling at top speed, eject from the Phoenix and Slam directly down on top of a group of enemies. The added height from the ejection will give your Slam a little extra oomph for a little extra eww when you wreck shop. Stringing together combos is the easiest way to fill your Overdrive meter and turn the tide of battle. Not only does Overdrive push all your weapons beyond their physical limits, it also restores your health, making it a crucial part of maintaining control in a fight. Master your weapons and abilities, get creative with combos, and become a wasteland superhero on May 14. Mince Pi – what’s under your tree?